Golden amber color. Aromas of apple-cinnamon, pastry dough, concord grape jam, and banana-cashew shake with a supple, bright, dry-yet-fruity light body and a breezy caraway, ginger sweet-and-sour sauce, challah, béchamel with dill, and lemon zest finish. A creamy, rye-forward whiskey that offers a delicate sipping option. 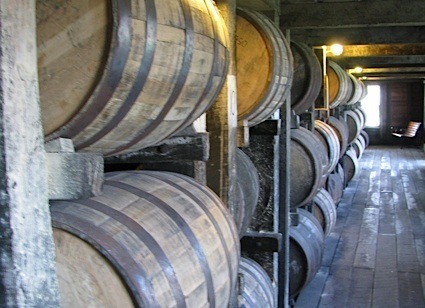 Bottom Line: A creamy, rye-forward whiskey that offers a delicate sipping option. 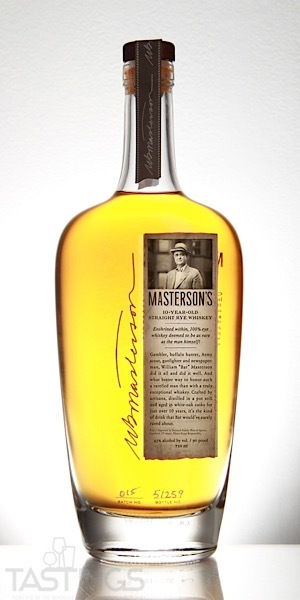 94 • Masterson’s 10 Year Old Straight Rye Whiskey 45% (Canada) $70.00. Masterson’s 10 Year Old Straight Rye Whiskey rating was calculated by tastings.com to be 94 points out of 100 on 10/29/2018. Please note that MSRP may have changed since the date of our review.